Nationwide, Des Moines, IA, once again is teaming up with the National Education Center for Agricultural Safety (NECAS), Peosta, IA, and other partners to hold the Nominate Your Fire Department Contest as part of Nationwide’s annual Grain Bin Safety Week, which runs Feb. 17-23, 2019. Now in its sixth year, the contest awards grain rescue tubes and hands-on rescue training to first responders to help save lives. According to Nationwide officials, three people have been saved thanks to the grain rescue tubes and training provided by the program. Since its inception in 2014, the contest has attracted more than 1,500 nominations and awarded tubes and training to 77 fire departments across 24 states. To enter the contest, nominators must describe how the fire department or emergency response team and its rural community would benefit from grain rescue training and a rescue tube, as well as how they plan to share the rescue tube and training with nearby fire departments. The number of winners will not be determined until the contest closes and will depend on the amount of donations received. 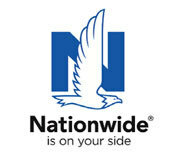 See the contest rules at nationwide.com/GBSWContestRules. NECAS is accepting donations in the form of a rescue tube or a financial contribution. Contributors will be recognized on grainbinsafetyweek.com, social media, media releases, and other promotional means. All contributions will go toward the purchase of grain rescue tubes and training. To contribute, contact Steve Nielsen, Nationwide, at 515-508-6401 or nielss2@nationwide.com.